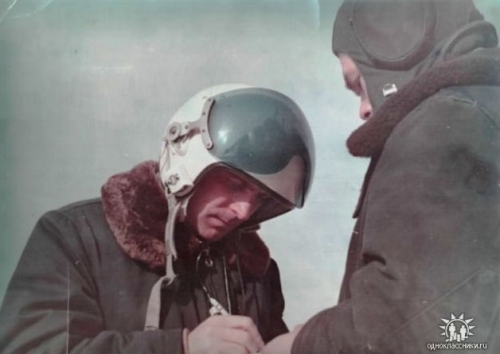 At the end of the seventies, major changes happened at Baku Air Defence District. In 1980 the Baku Air Defence District command disbanded, their military units were reorganized. It’s size is reduced. The 12th Air Defense Corps in the North Caucasus Military District joined the Soviet Ukraine air defense forces and the air defense units of the 16th Guard Air Defense Division joined the Soviet Turkestan Military District’s Air Defense command in 1980. 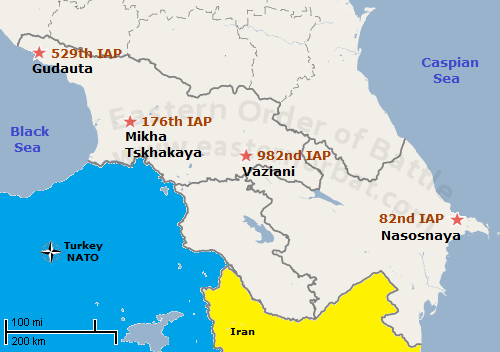 The Transcaucasian Military District was the only successor of the Baku Air Defence District. In 1980 the tactical fighter force and the air defence fighter interceptor units merged. The 283rd Fighter Air Division of the tactical fighter force received the 529th Fighter Air Regiment PVO with Yak-28P ‘Fireball’. 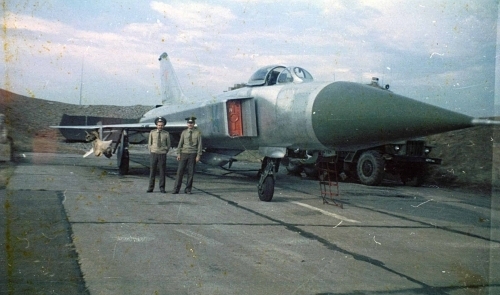 Soviet 166th Fighter Air Regiment PVO’s Su-15 ‘Flagon-D’ with R-98 'AA-3 Anab' was a medium-range air-to-air missile and GP-9 gun container in 1981. 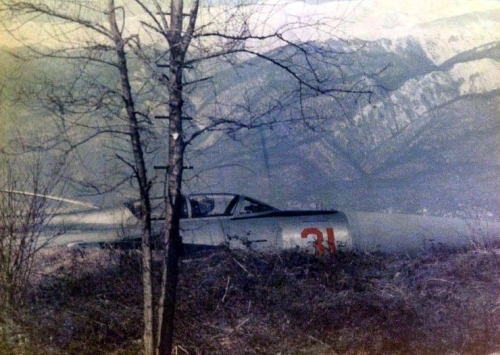 USSR 529th Fighter Air Regiment PVO’s Yak-28P ‘Fireball’ long range interceptors in front of the Caucasus Mountains at the Gudauta, Bombora airport. There was a need for more fighter bomber forces in the Soviet-Afghan War. Therefore, two former Air Defence fighter interceptor air regiment was reorganized in 1983. The 166th and the 976th Fighter Air Regiment PVO become Fighter Air Bomber Regiment and received Su-17M3 ‘Fitter-H' and Su-17M ‘Fitter-C’ bombers. The 171st regiment moved to Far Eastern Military District with Su-15TM ‘Flagon-F’ interceptor in 1982. 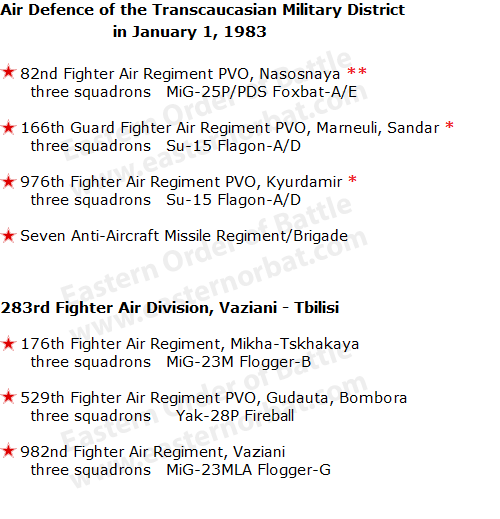 Instead, the 529th Fighter Air Regiment PVO arrived from the north Anadyr/Ugolnyye Kopi airfield to Gudauta, Bombora airport with Yak-28P ‘Fireball’ long-range interceptors.